Ok these are just super cute! 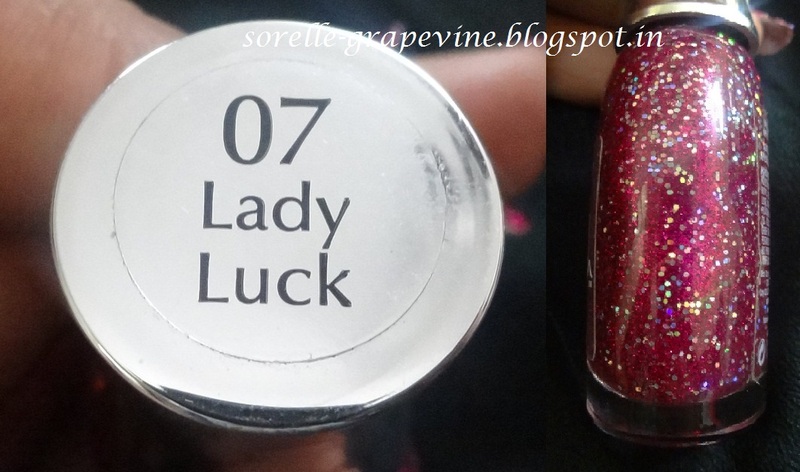 Such pretty colors and there are 2 variants available in it – regular and with sparkles. They have a sugar like finish where it looks like you have sprinkled colored ones on your nails. Cashing in on the whole textured trend this is one of the many interesting finishes launched by the brand. And it is a LE collection (boo!). 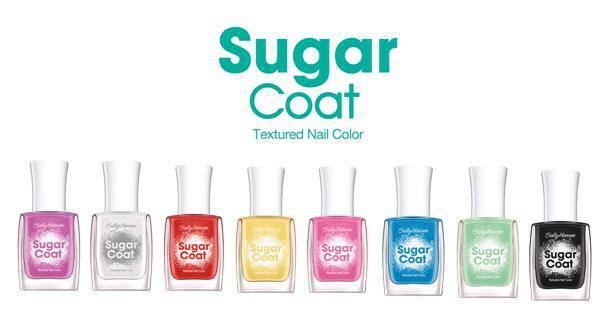 The regular range has 8 colors in it – Cherry Pop (cherry red), Cotton Candies (bubblegum pink), Bubble Plum (purple-pink), Sugar Fix (white), Sweetie (yellow), Sour apple (mint green), Razzleberry (blue) and Lich-O-Rich (black). According to the company, these have a semi-matte finish and are quick drying. They are supposed to cost $5-6 (approx Rs. 360/-). 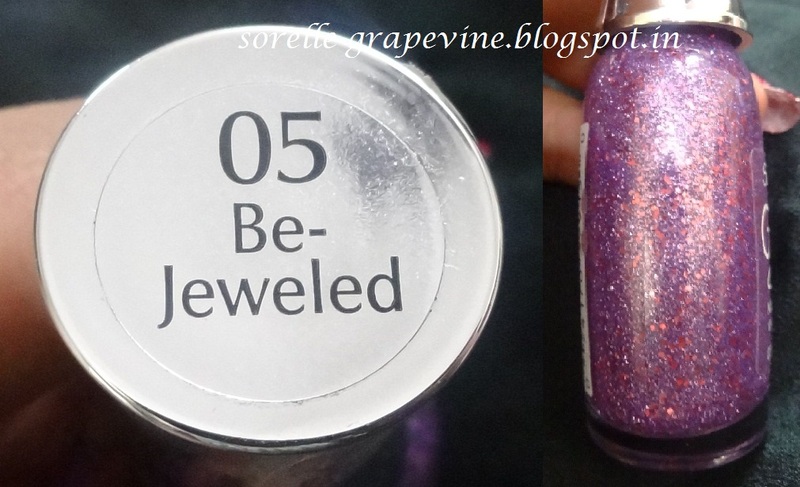 Check out Manicured Amateur’s swatches HERE for a better look at these. The company then launched 8 new shades in this along with the previous ones making it a total of 16 shades. Only 3 of the 8 new ones have sparkle in them – Royal Icing (pale blue with pink/gold shimmer), Treat-Heart (light pink with silver and pink shimmer) and Pink Sprinkles (cranberry red with gold flakes). The other 5 new shades are – Red Velvet (deep rose), Spare-a Mint (deep teal), Candy Corn (bright orange), Laughie Taffy (navy) and Gummy Grape (purple). Just going through the names has given me a craving for sugar :P. I think they fall into the same price range. Check out Oh Three Oh Four’s swatches for these HERE. I really like the whole texture concept. Gives some life and variety to the regular run of the mill stuff. Some might find the whole 3D thing annoying. But for me if these don’t snag my hair or clothes I’m good with it. As usual, always game to try out something new. Hope I will be able find this somewhere without having to pay an astronomical price for it. What do you think? Do you like these? Or are you totally not into the whole texture idea? Waiting to hear from you. Catch you later. Adios! Hello Ladies! I’m super excited to be reviewing this product. I was finally able to lay my hands on it thanks to my sis. And she got me my favorite print too 😀 . 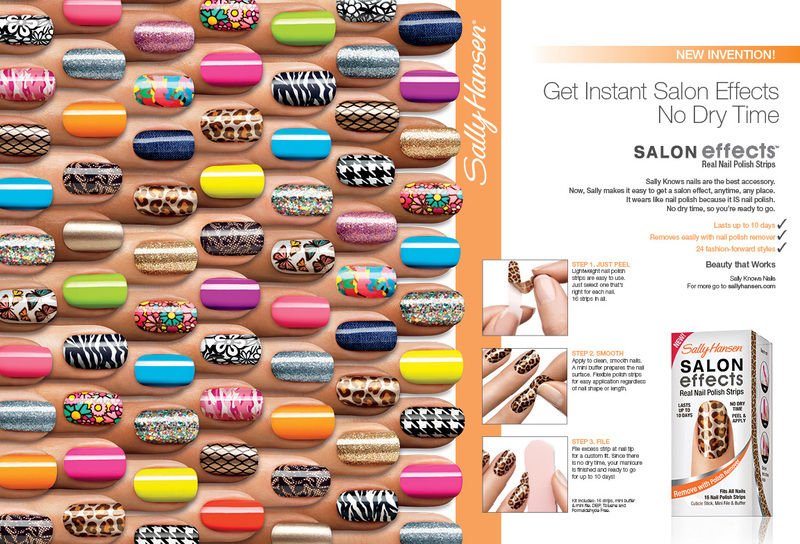 The pack contains 2 blister packs of the nail appliques, an orange stick and a nail buffer. According to the given instruction sheet you first wipe your nails with nail polish remover to get rid to old paint and dirt. Then you take the stick and push back your cuticles if necessary and then go on to use the buffer. Now you are ready for the appliques. I used 1 blister pack on my nails and needed another 2 strips from the 2nd pack. The smallest and biggest sizes in the pack did not fit me. And I was able to cut 2 strips in half and split it between 2 fingers of the same size. Ok I did not have an easy time with it. I think the pack might be old or it got dried up for some reason. I used the first applique and found that it was not sticking to my nail!!! I was like WTF?! I re-read the instruction and found I had followed the steps to a T. In the end I used transparent nail paint as base and stuck the appliques on top. By then I was like they show on the instructions video online that it is so easy to apply and stuff but this stuff’s not :(. I had 2 nails left and opened the 2nd pack for them. Immediately I noticed the difference in the texture of the appliques. These were much softer and malleable compared to first set I used which kinda felt like thin paper. These ones I was able to easily stick to my nails without using anything and they glided on like a dream. So do keep that in mind when buying this product. Price of the product is $12.99 (you can get them for $7.99 at allcosmeticswholesale.com). But in the end they look da bomb! In the pics the base color looks silver but in actuality it is a very pale champagne gold color which provides the perfect background to the colors of the print. A must buy ladies! I came across these in the Allure magazine beauty awards. 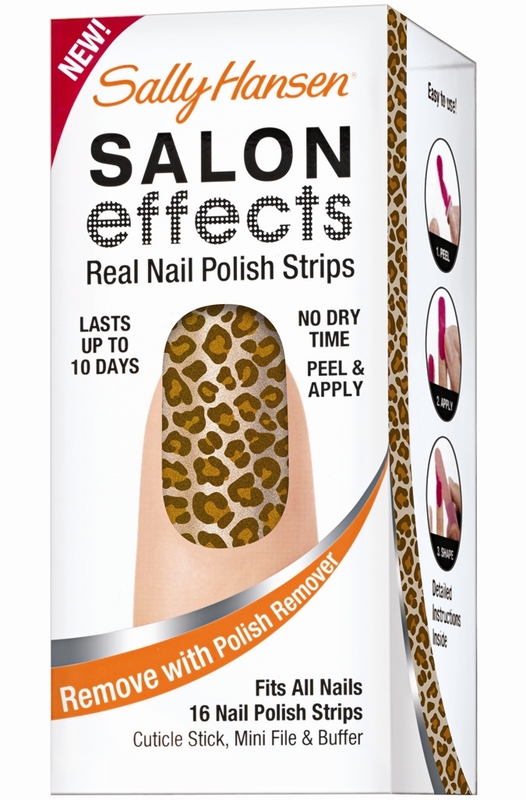 They are strips made of real nail polish which can be applied easily to your nails for an instant nail makeover. Unfortunately they are not available in our country and till now I have not found a site from where I could purchase em online. They are offered in various ranges from animal prints to metallic to neon to glitter, etc. One box is good for one application and costs about $10. Some people even suggest that you use half a strip on your nail (provided you don’t have extra long nails) and make the pack last longer. The box includes 16 strips, a cuticle stick, a buffer and a mini file. I have included some links below from where you can check out some more pics of this product as well as videos to see how to apply them. In the main company link given below scroll towards the bottom and on the left hand side you will see a tutorial video link. Do check that out. 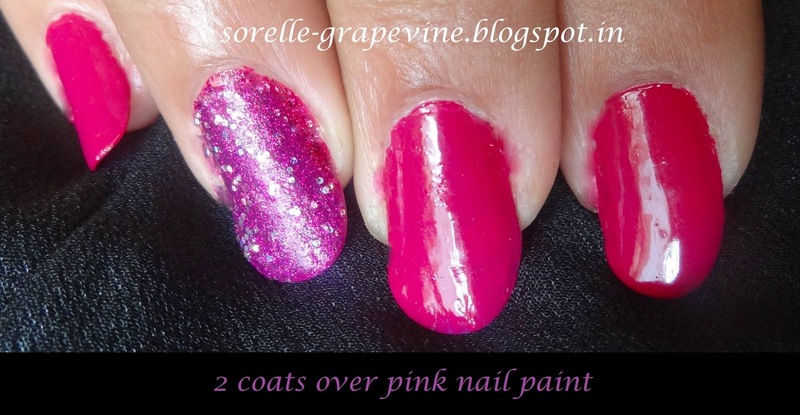 For someone like me who is nail-art challenge this is an instant fix which is just too awesome!